Learn how to dance Salsa for beginners with the following basic Salsa dance steps. You will learn 2 basic moves for the On 1 Salsa style and 2 basic moves for the On 2 Salsa style below. 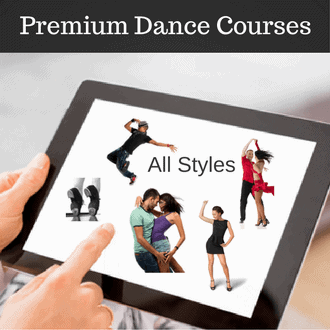 These videos are brought to you from Passion4dancing’s membership and Casa Salsa’s video course available here for purchase. The Salsa music is phrased in counts of 8. All of the steps you will be learning will fit into an 8 count. However, 2 of the counts are pauses. You will dance on counts 1,2,3, then pause of 4, and continue to dance on 5,6,7, and pause on 8. Learn how to Salsa dance with the main basic step of Salsa. In this lesson you will learn the forward and back basic. This is the step you will go in and out of all the moves. The move consists of 2 rocks steps. Learn another popular basic Salsa step with this video. This step is similar to the basic, except here you go to the side. Make sure you change your weight fully on each leg. Want More Salsa on 1 Lessons? For those who want the very best Latin and Ballroom dance instruction, you need to check out Passion4dancing.com where you can get access to over 100+ videos and many more Salsa dance steps. Each of the video breaks down the footwork, timing and provides extra tips. Once you become a member you will get unlimited access to everything. Did you enjoy this mini-video course? If yes please share this page with your friends.